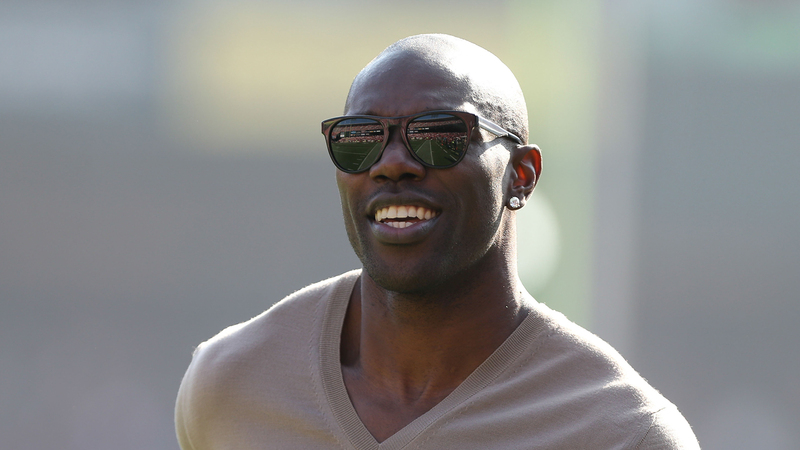 Terrell Owens’ recent attempts at an NFL comeback didn’t last long. Apparently his marriage didn’t last much longer. Owens married Rachel Snider at a courthouse in California on Jan. 23, but she’s already demanding a divorce after just two weeks, according to a report by TMZ. Snider told TMZ she believes Owens married HER for money, claiming he used her so he could get a loan for a $2 million house. "I felt in love … and now I feel betrayed and heartbroken," Snider said. Less than 24 hours ago she seemed to be happily married. But it sounds like she’s moving on — with as little bitterness as possible. @U_GotThe_Juice it WAS great for a time ..
@amck73 @budlgtgirl @PhatKiwi @TMZ we do not qualify for an annulment , lawyers have already checked that we so not meet the criteria .